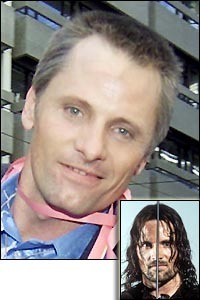 AN orc-inspiring 125,000 Lord Of The Rings fans flocked to the world premiere of the final part of the epic last night. 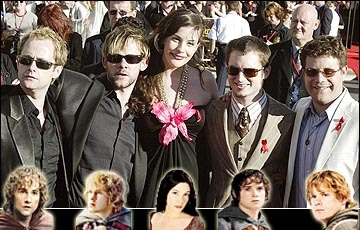 Stars including Liv Tyler and Orlando Bloom were hailed by the Hobbit-loving horde at the screening of The Return Of The King, which opens in the UK on December 17. 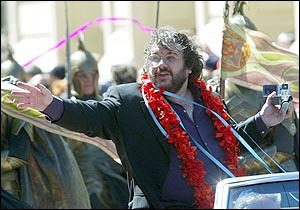 The premiere followed a giant parade through director Peter Jacksons home town of Wellington, the Kiwi capital which has a population of just 400,000. All three Rings films were shot in New Zealand. 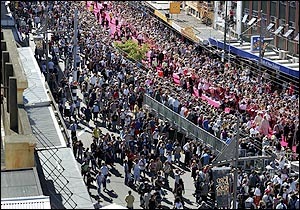 The crowds cheered as the stars arrived for the premiere. But Liv, 26  who plays Elf princess Arwen  was late for the ceremony because she was held up at her hotel trying to get into her dress. Orlando, 26, who plays Legolas, arrived with his proud mum Sonia, who had flown in on a jet which had a huge portrait of her son painted on its fuselage. 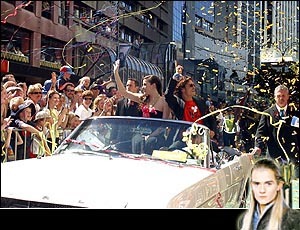 Other stars in the parade included Sir Ian McKellen (Gandalf), Elijah Wood (Frodo), Viggo Mortensen (Aragorn), Andy Serkis (Gollum), Billy Boyd (Pippin), Bernard Hill (Theoden), John Rhys Davies (Gimli), Dominic Monaghan (Merry), Sean Astin (Sam) and Hugo Weaving (Elrond). 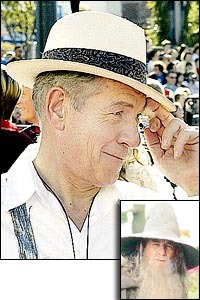 Jackson  who is said to have earned £90million from the trilogy to date  is famous for wearing shorts and going barefoot. But yesterday he donned long trousers and shoes for the final instalment of his epic, which has so far taken £1.4billion worldwide at the box office.